Through its life there have been a number of Falcons that can be regarded as factory specials, or limited editions. They were not produced in great numbers, but they were designed and built by Ford and some are worthy of note, and one in particular is justifiably famous. The Superbird started life as a one off show special, designed to attract attention at the Melbourne and Sydney motorshows. And attract attention it certainly did, to such an extent that Ford decided to release a limited run of Superbirds. Sadly, and of necessity, they toned down the graphics of the showcar, limiting it to a much smaller bird on the rear wings only, but they made efforts to make the whole package special. The car was available in three different paint schemes, white and blue, lime and green and yellow and brown and each was fitted with a louvre for the rear window. Mechanically they ran the 302ci V8 engine with a choice of manual or automatic transmissions and featured a plush interior and GT instrumentation. Exact figures are vague, but it is generally accepted that 700 were made in all colours, 500 with automatic and 200 with manual gearboxes. 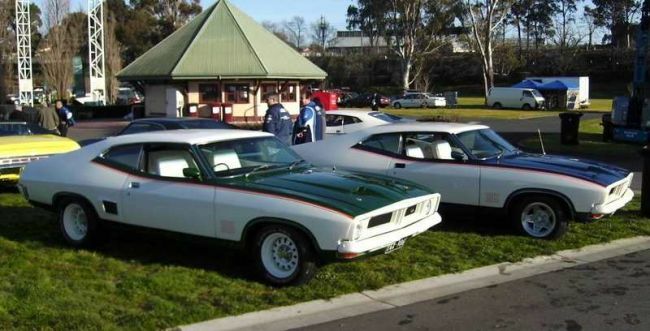 John Goss is a famous Australian racing driver, who in the seventies made his name as a keen devotee and successful racer of the Falcon hardtop. 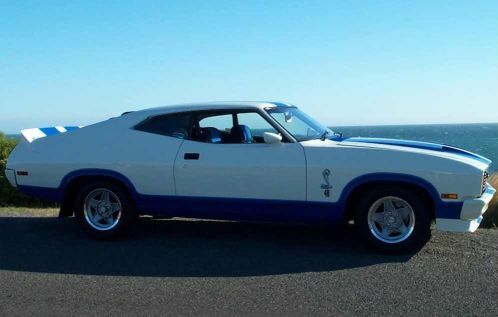 With his co-driver Kevin Bartlett, he won the James Hardie 1000km race at Bathurst in 1974 in a thrilling race, and in August, 1975 Ford released a run of XB based John Goss Special limited edition hardtops. 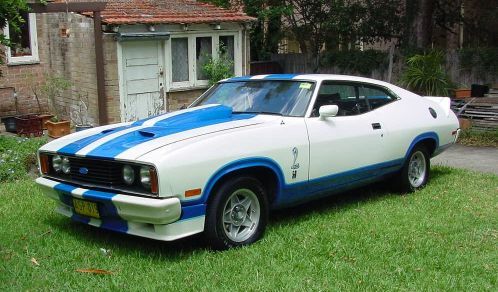 Powered by the 302ci V8 with either an automatic or manual transmission, the car was available in two different paint schemes, blue and white, or green and white. 260 were produced. Matt Anderson runs a website for JGS cars. Check it out for more information. 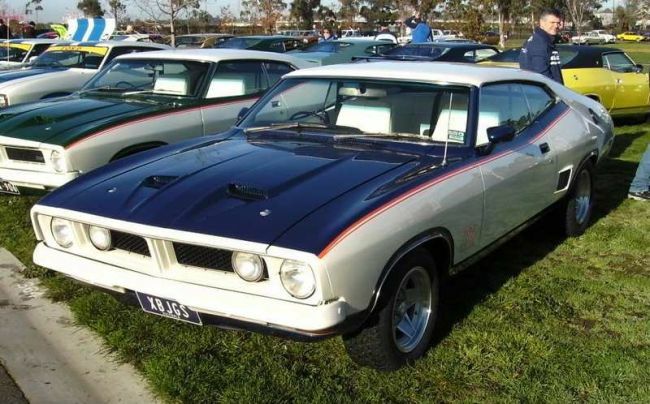 Along with the XY GT-HO Phase 3, the XC based Cobra is probably the most famous and collectable of all the older Australian Falcons, and it is not difficult to see why. 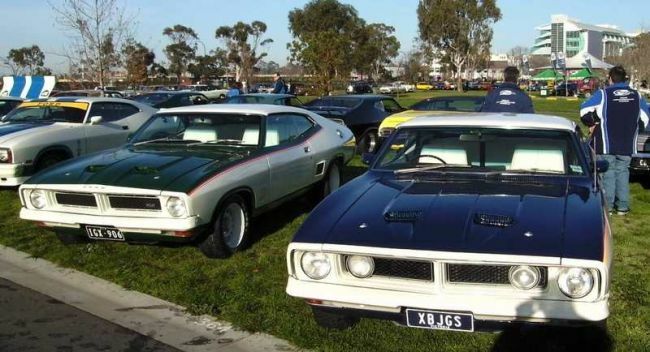 While it is true to say that today the XA/XB/XC hardtops are classically desirable cars, at the time they proved to be hard sales for Ford, as the Australian motorist has always preferred four door cars to coupes, even when it is a high performance car. 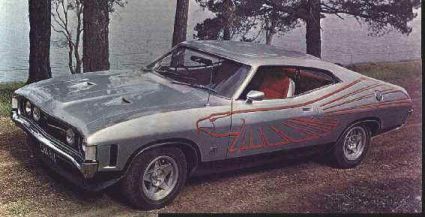 When they decided that the XD Falcon would be a four door model only, Ford found themselves near the end of the XC production run with 400 unsold hardtop body shells. 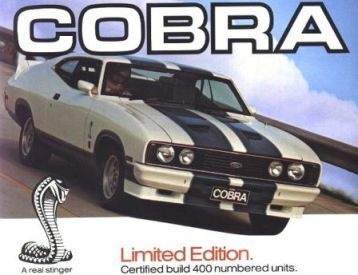 To sell them, to create maximum marketing exposure and to end the line on a glorious high note, they created the Cobra, and in so doing created an instant classic. Introduced in August, 1978 and sporting a unique and dramatic white paint scheme with blue stripes, each of the 400 was serialised and fitted with a sequentially numbered dash plaque. 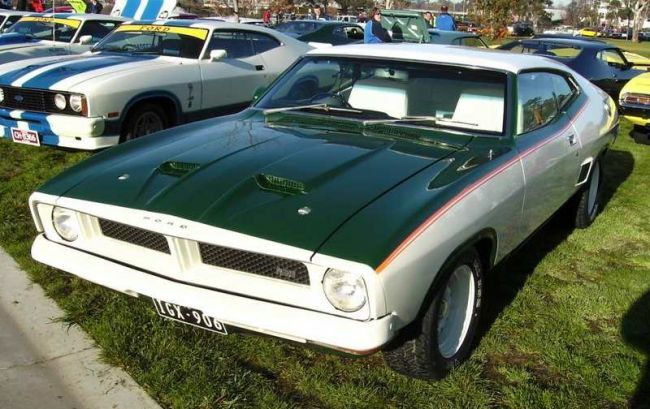 The first 200 were fitted with 351ci V8 engines and the remainder got the 302ci V8. Automatic or manual transmission was available with four wheel disk brakes and limited slip axles. Mounting 15” Bathurst Globe wheels and fitted with spoilers front and rear, the interiors sported seats in black with blue inserts. 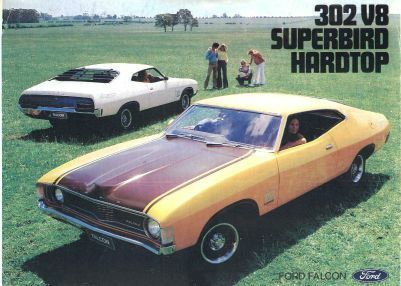 The first 30 cars were even more desirable. Known as Option 97 to differentiate them from the ‘standard’ Option 96 cars, and in the tradition of the HOs of they past, they were fitted with optional parts to allow homologation for the race track. Twin thermostatically controlled fans, an engine oil cooler, Sheel racing seats and a large rear opening bonnet bulge were among some of the additions. 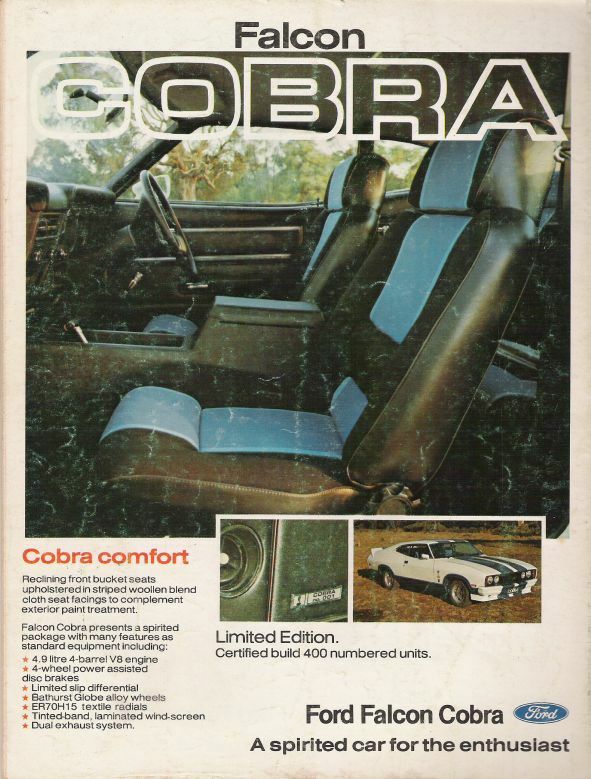 Some more Cobra information can be found here.